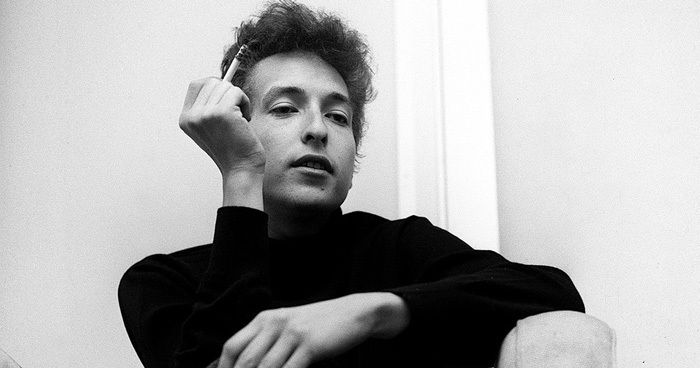 Widely considered as one of the greatest and most influential figures in the history of popular music, Bob Dylan was born Robert Allen Zimmerman on May 24, 1941 in Duluth, Minnesota. His maternal grandparents were Lithuania Jews who emigrated to the United States in 1902. The son of a Hibbing merchant, Dylan grew up in northern Minnesota and studied at the University of Minnesota in Minneapolis. He spent his early years listening to the radio, absorbing diverse musical influences from folk, country, blues, and early rock ‘n’ roll. Dylan formed several bands while attending Hibbing High School and often performed covers of hit songs by Little Richard and Elvis Presley at small coffeehouses and cafes. Bob Dylan dropped out of college in 1960 and moved to New York City in 1961. He legally changed his name from Robert Zimmerman to Bob Dylan in 1962. Dylan honed his skills as a performer, mastering his unique, spare lyrical style. Throughout the early 1960s, he created a huge impact on the folk music scene in Greenwich Village. Dylan signed his first record deal with Columbia Records in 1961. The following year, he wrote the legendary song “Blowin’ in the Wind”, which turned out to be a major anthem of the era and earned him widespread recognition as one of the most seminal and successful performers in history. Some critics believe that Dylan’s golden years as a songwriter were 1964-66, after which he began controversially experimenting with electronic music and new styles. A musical influence to generations of singers and performers worldwide, Dylan has continued to release new music and perform to large audiences. Often described as one of the greatest musical poets of the late twentieth century, Dylan has received nearly every honor and acclaim possible in popular music. His lyrics have contained an assortment of political, social, philosophical and literary influences. Bob Dylan has received numerous awards and accolades including Grammy, Golden Globe, Academy Award, Pulitzer Prize, Presidential Medal of Freedom; and inductions into the Rock and Roll Hall of Fame, Minnesota Music Hall of Fame, Nashville Songwriters Hall of Fame, and Songwriters Hall of Fame. He has sold over 100 million records worldwide. Bob Dylan married Sara Lownds in 1965. They have four children. Bob and Sara Dylan were divorced in 1977. He was also secretly married to gospel-rock vocalist Carol Dennis, with whom he fathered a daughter.